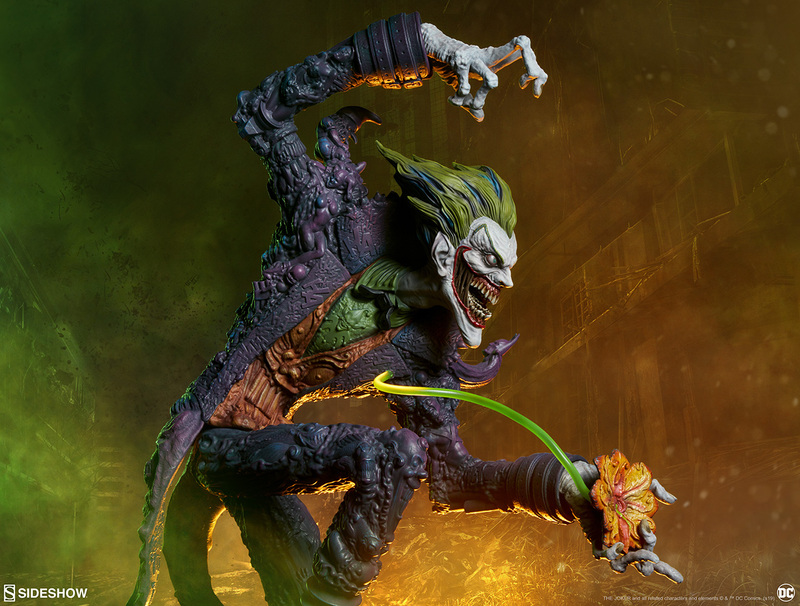 Get ready to meet the biggest nightmare that Gotham has to offer… New frightening photos and an out of the box video of The Joker- Gotham City Nightmare Statue have arrived to terrorize your DC Comics collection! 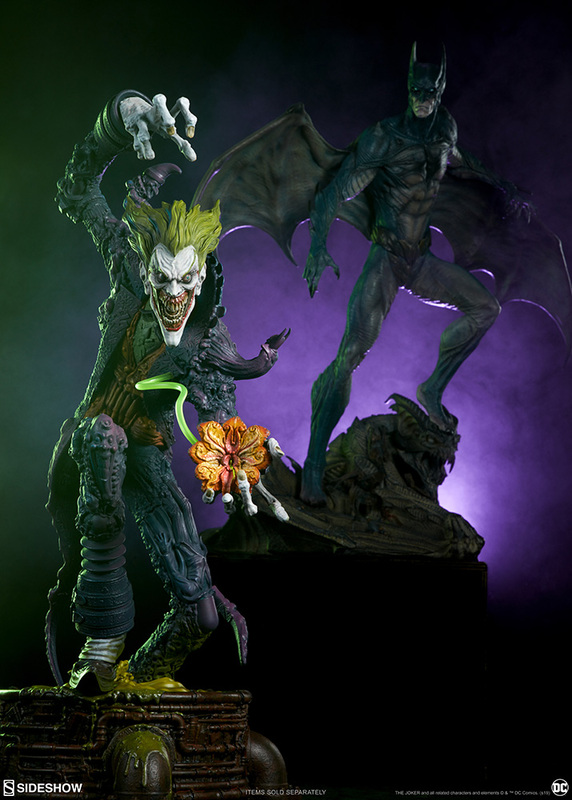 Sideshow’s Gotham City Nightmare collection dares to ask, what would the familiar faces of Gotham become when viewed through eyes filled with fear? 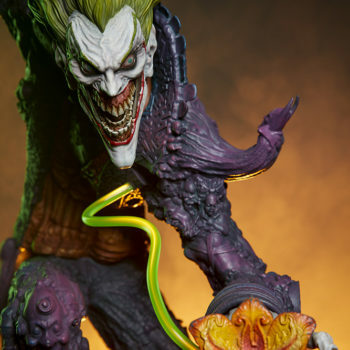 The Joker Statue measures 20” tall, emerging from a chemical vat filled with venomous green acid. 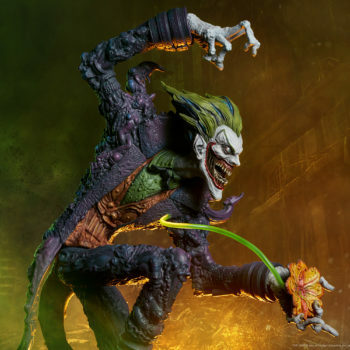 Beneath copper-colored pipes, the architecture of Gotham City can be seen laying the groundwork for the rise of this nightmarish Clown Prince of Crime. 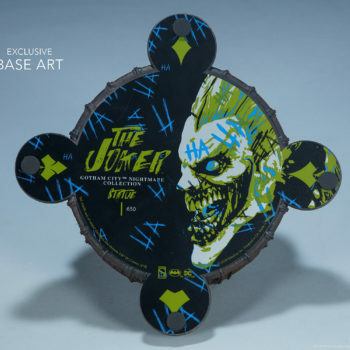 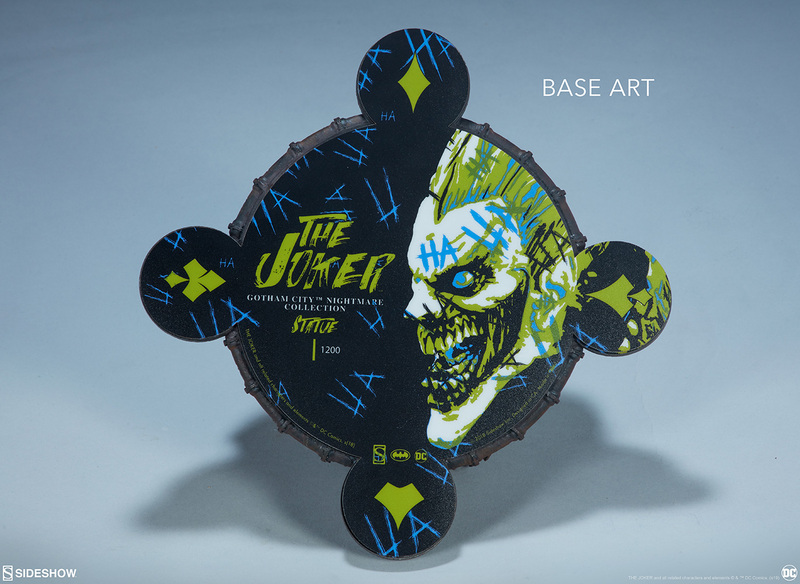 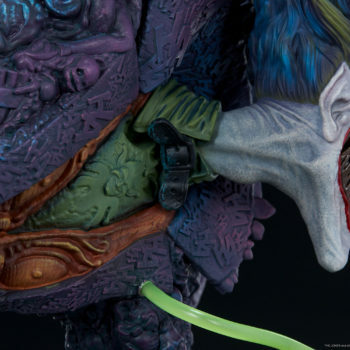 “We took the insanity of The Joker and made his entire makeup a tableaux of bas-relief Easter eggs of his entire existence,” Creative Director Tom Gilliland explained. 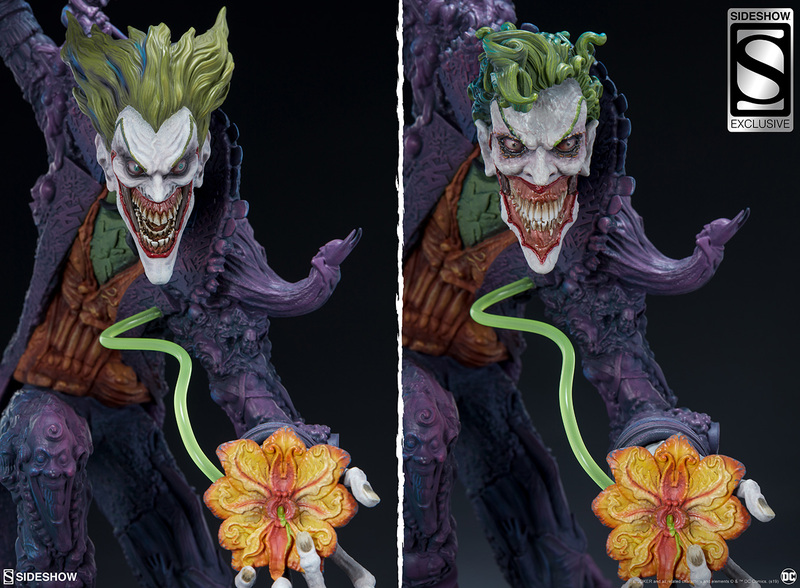 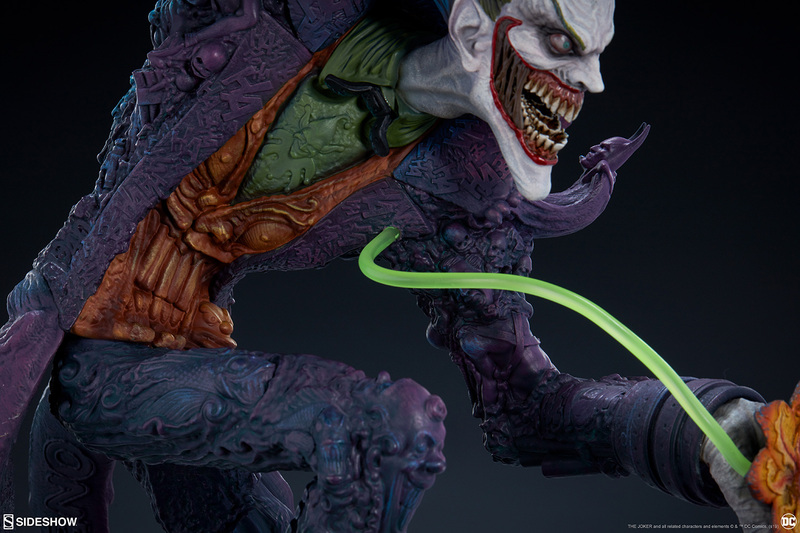 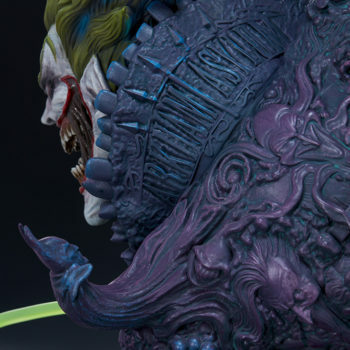 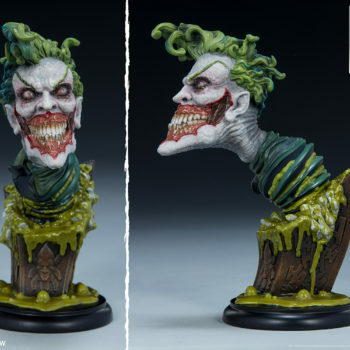 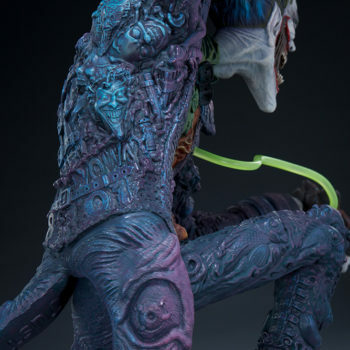 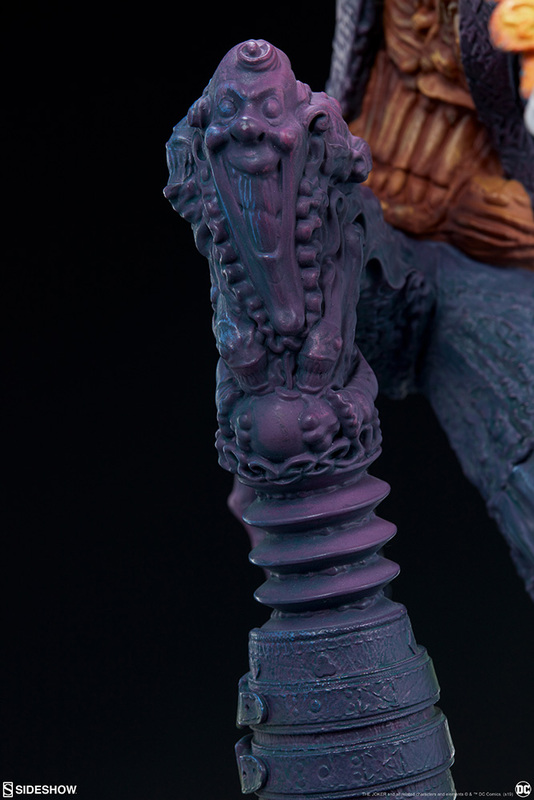 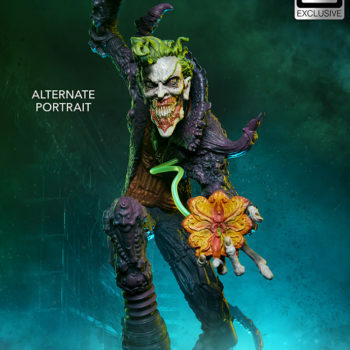 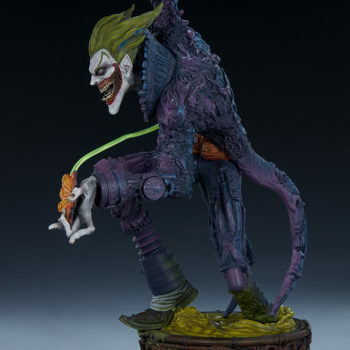 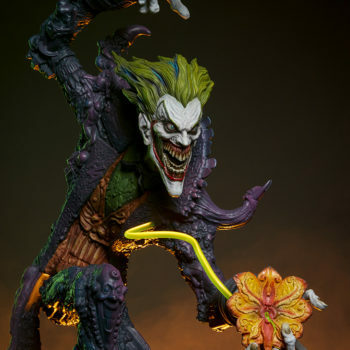 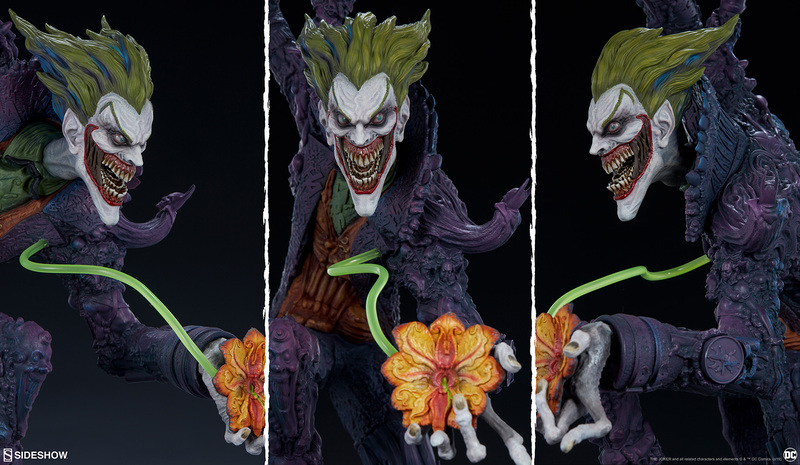 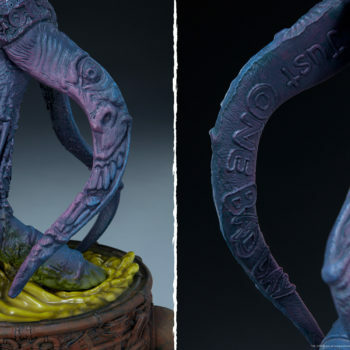 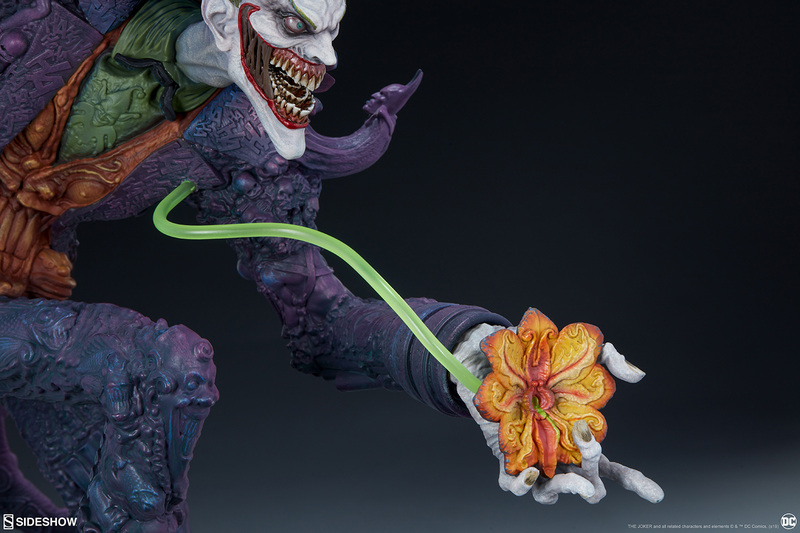 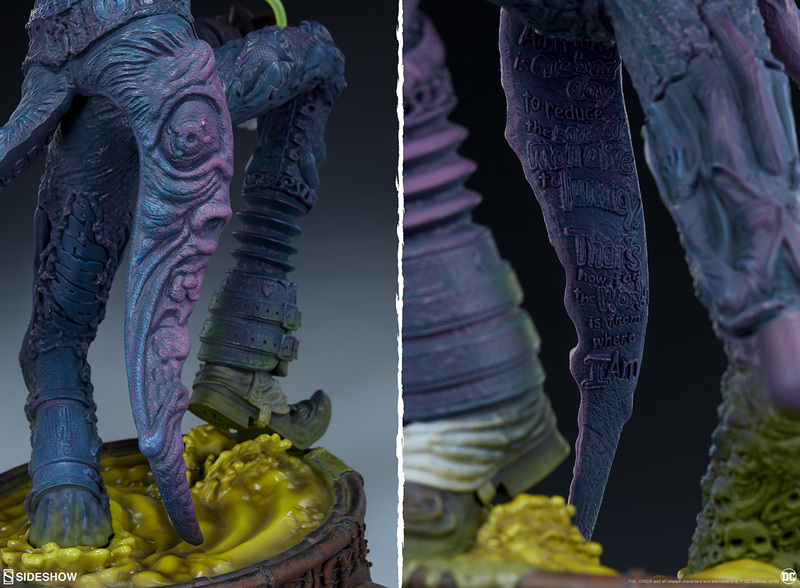 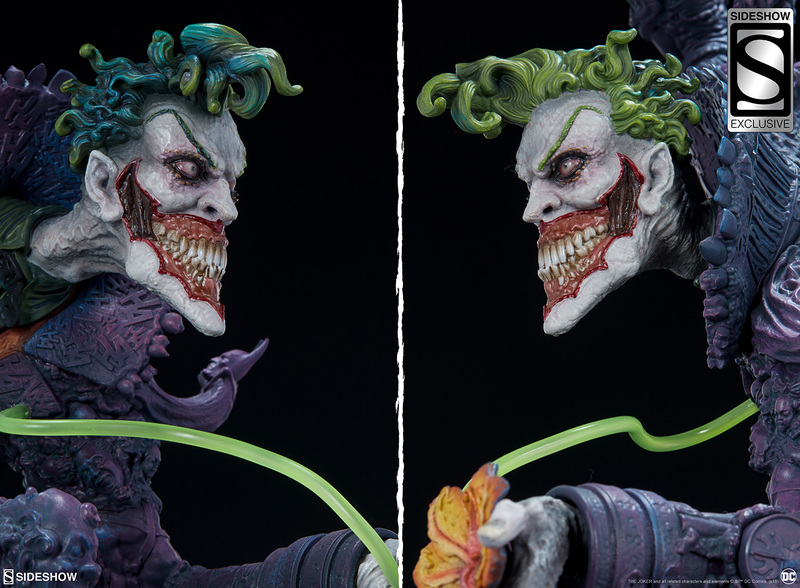 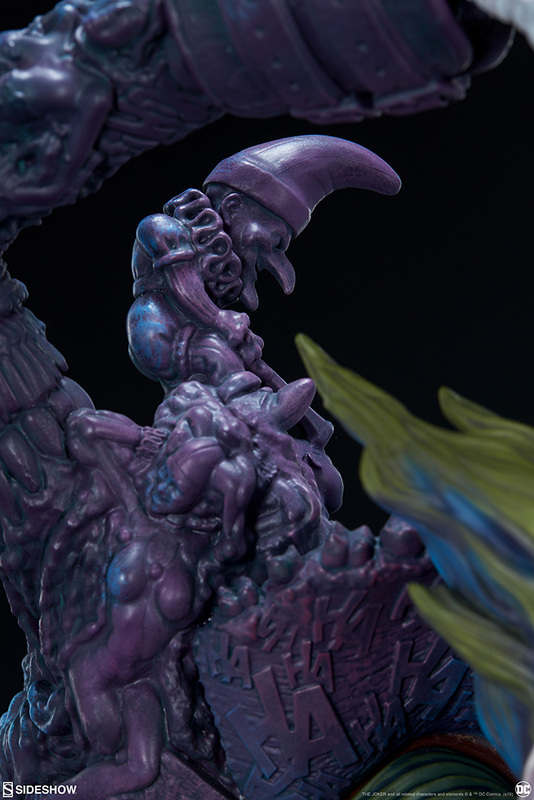 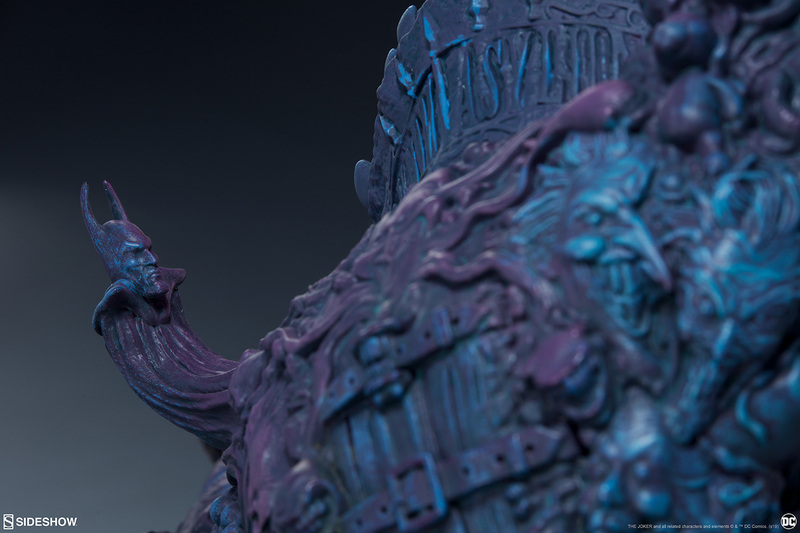 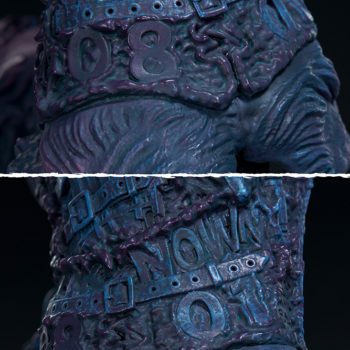 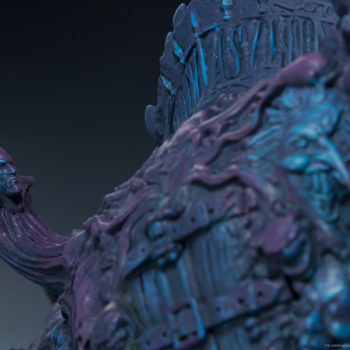 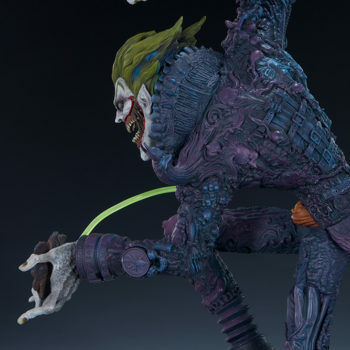 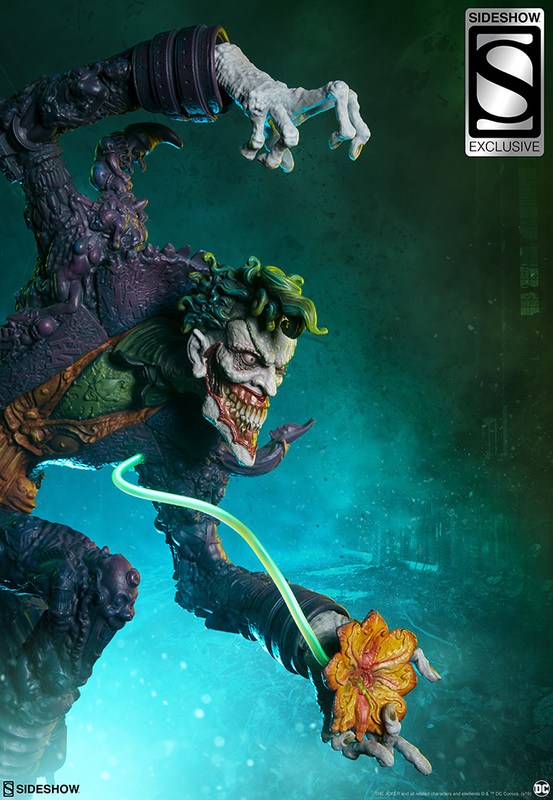 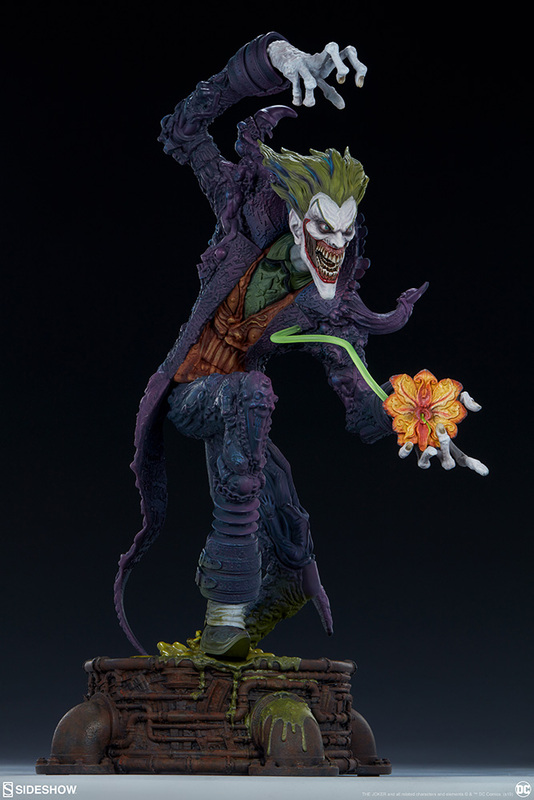 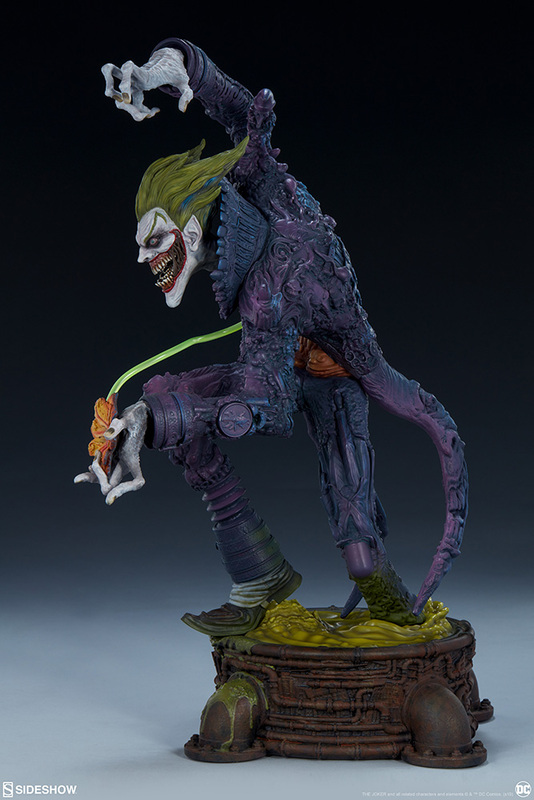 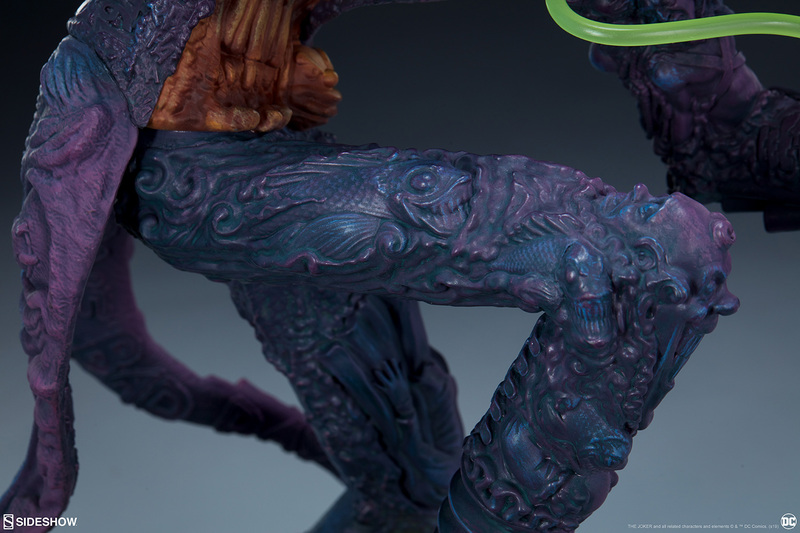 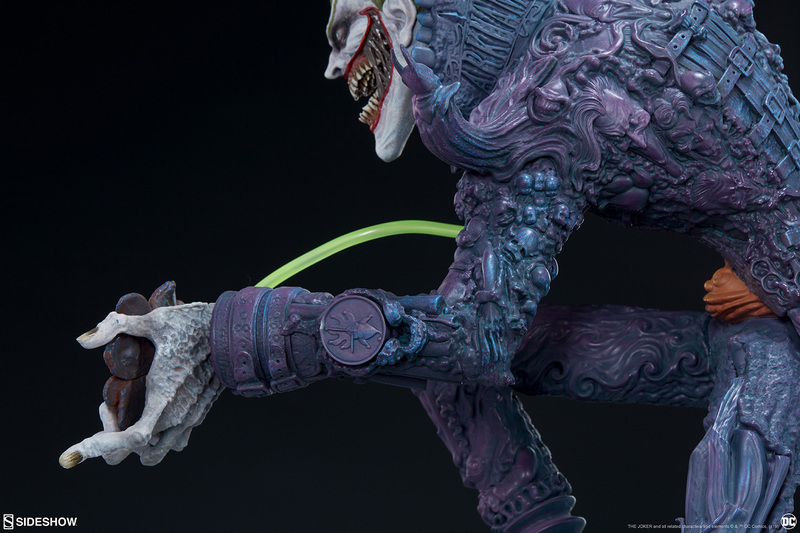 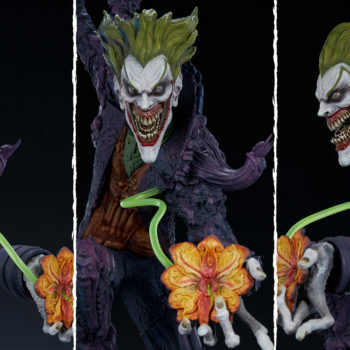 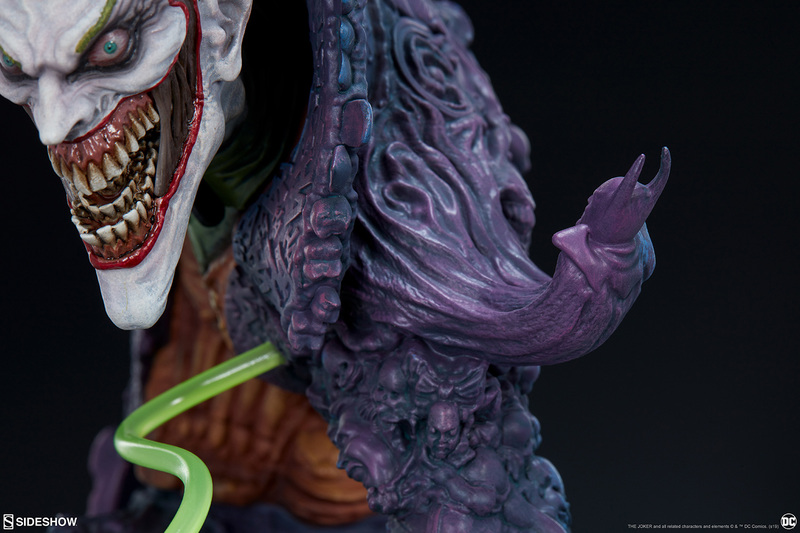 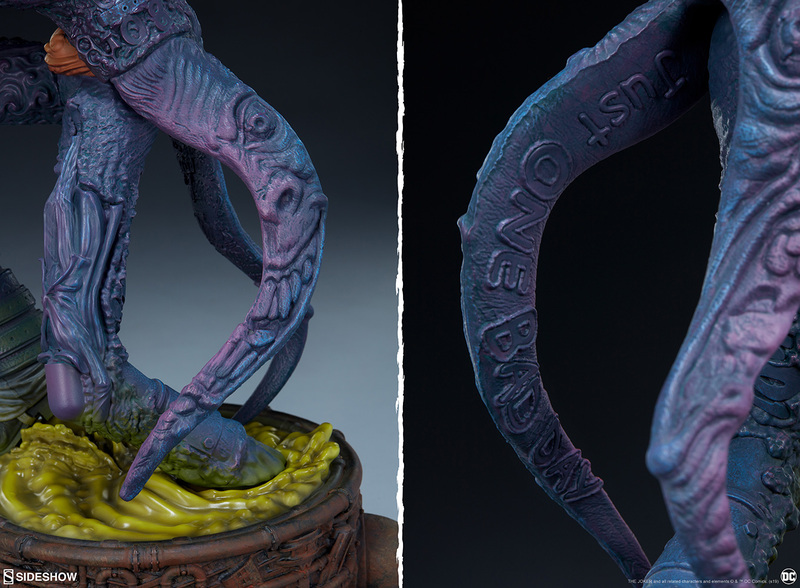 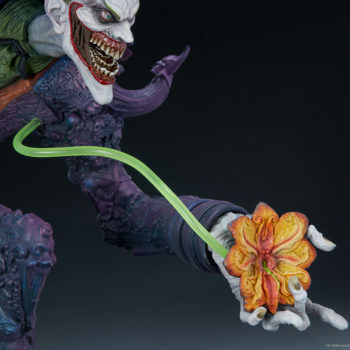 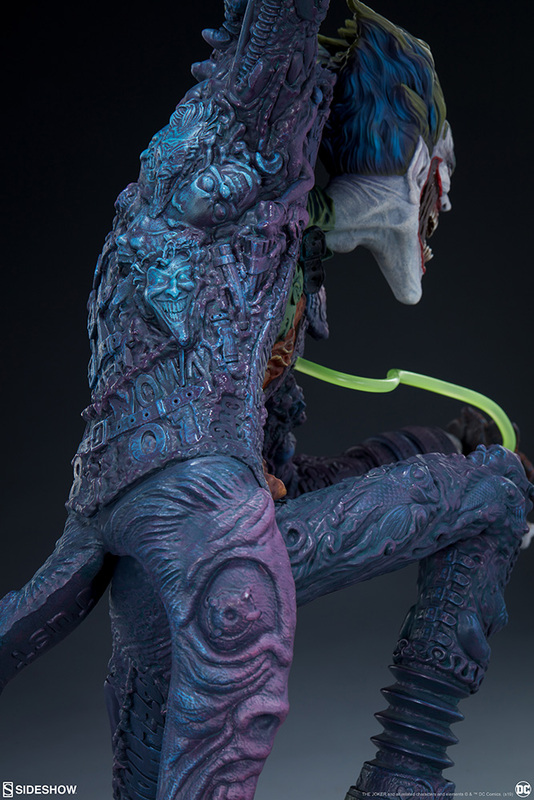 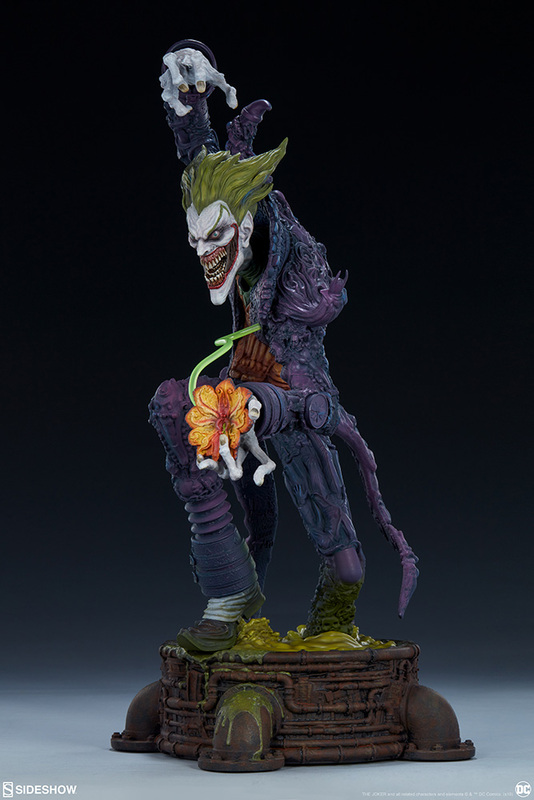 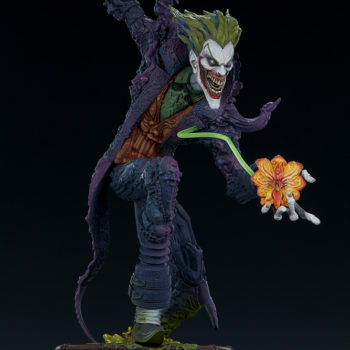 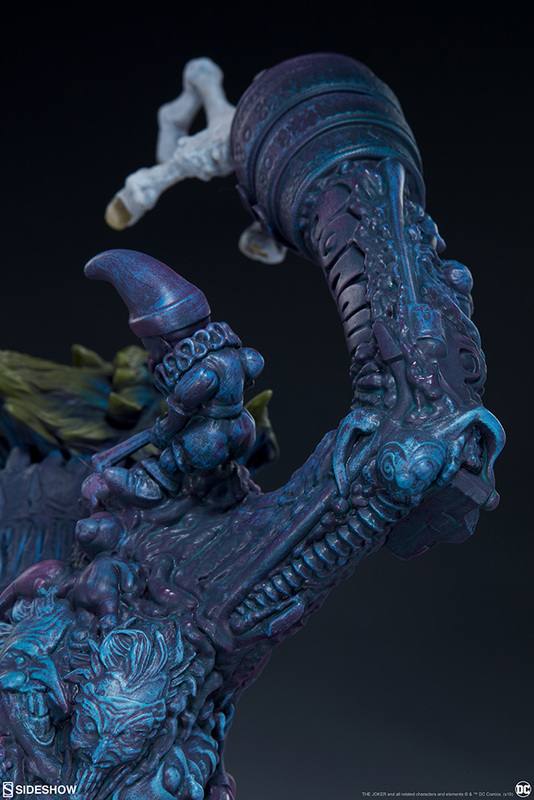 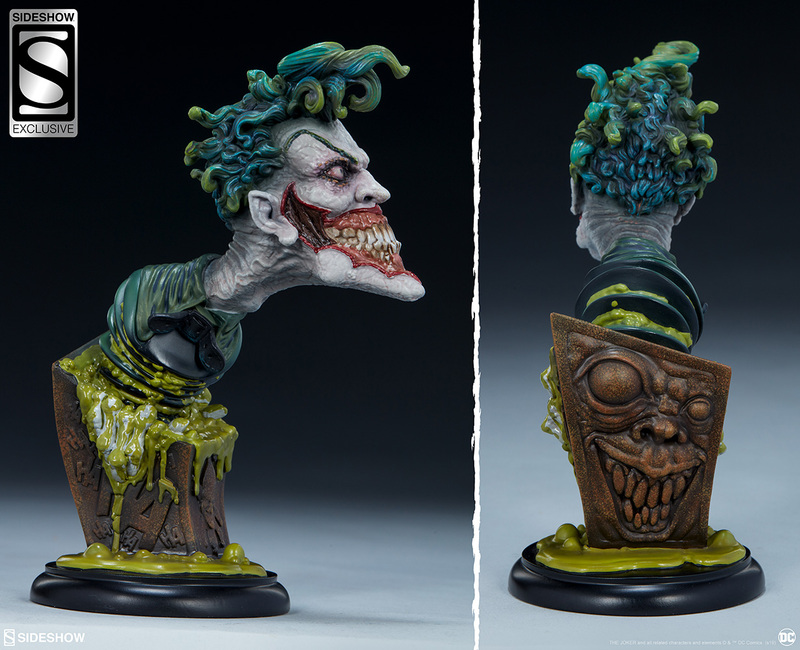 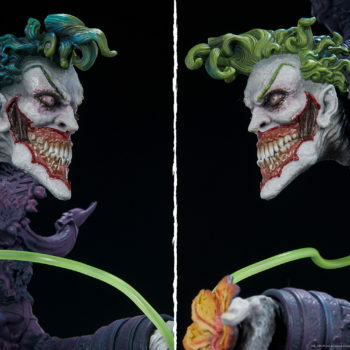 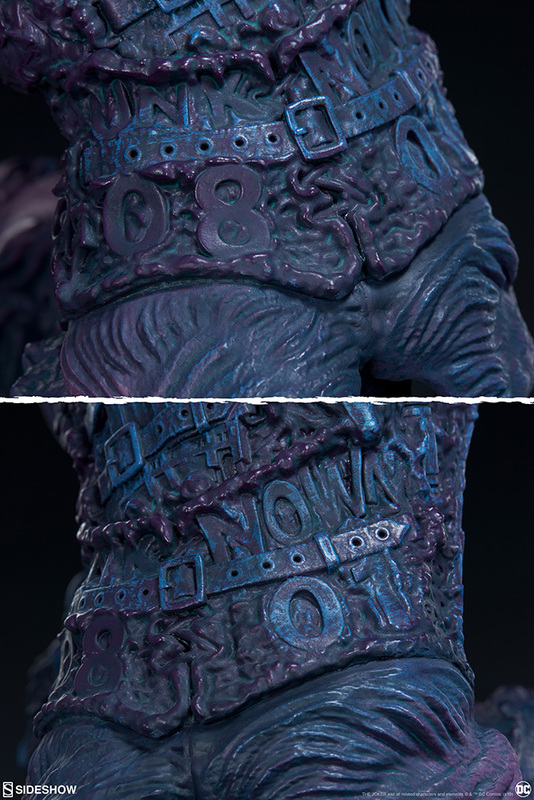 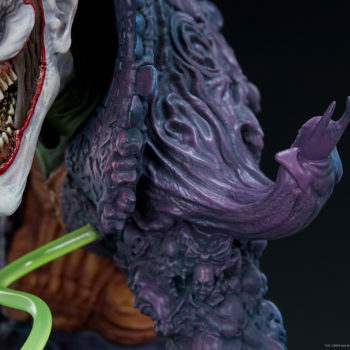 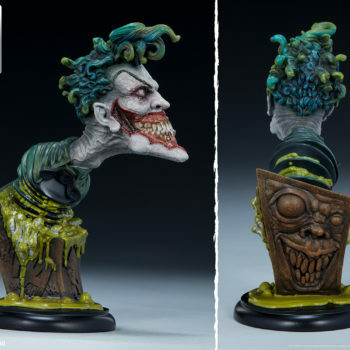 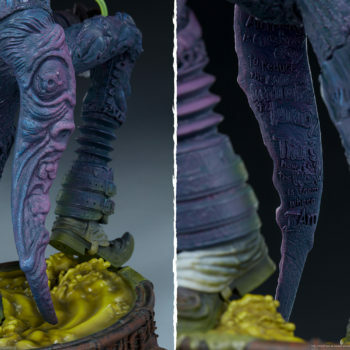 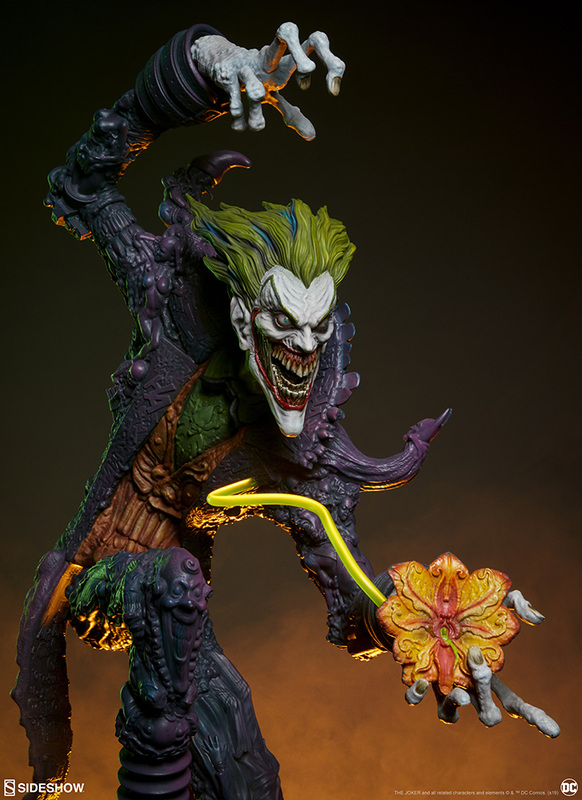 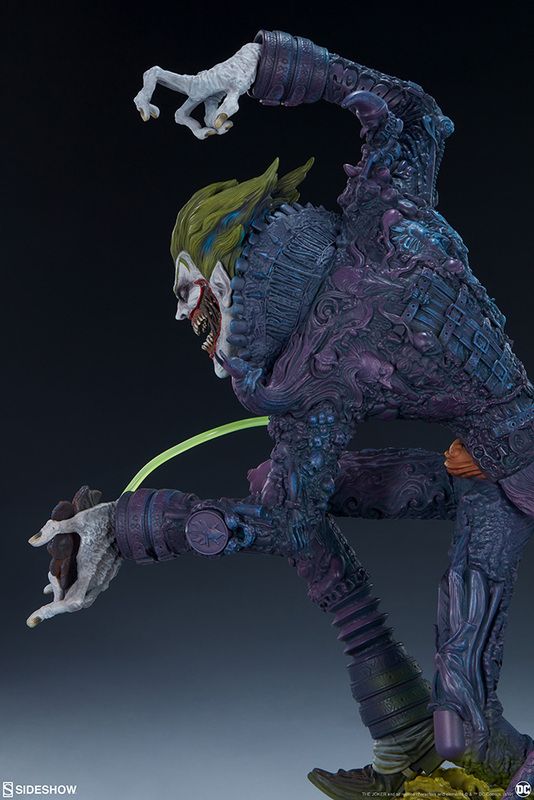 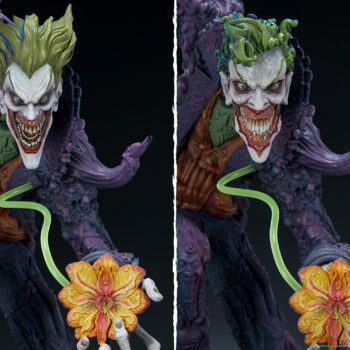 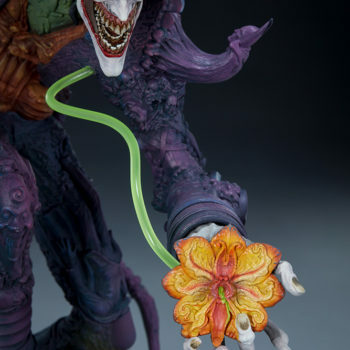 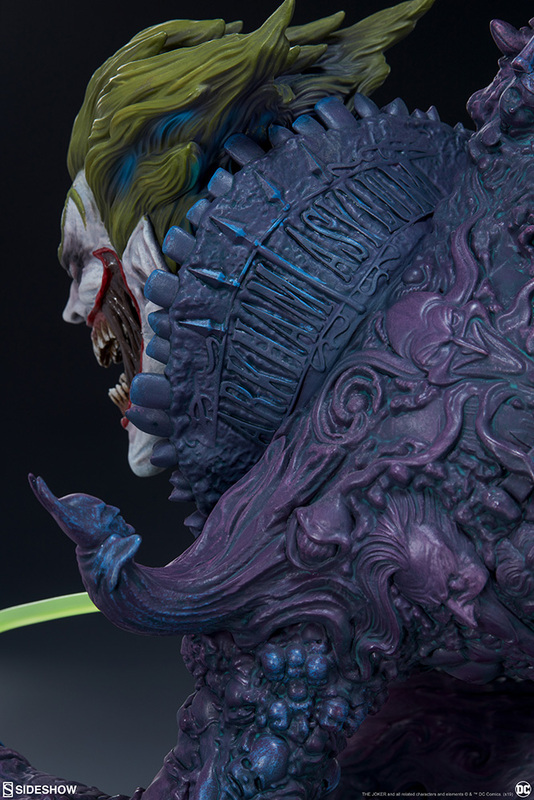 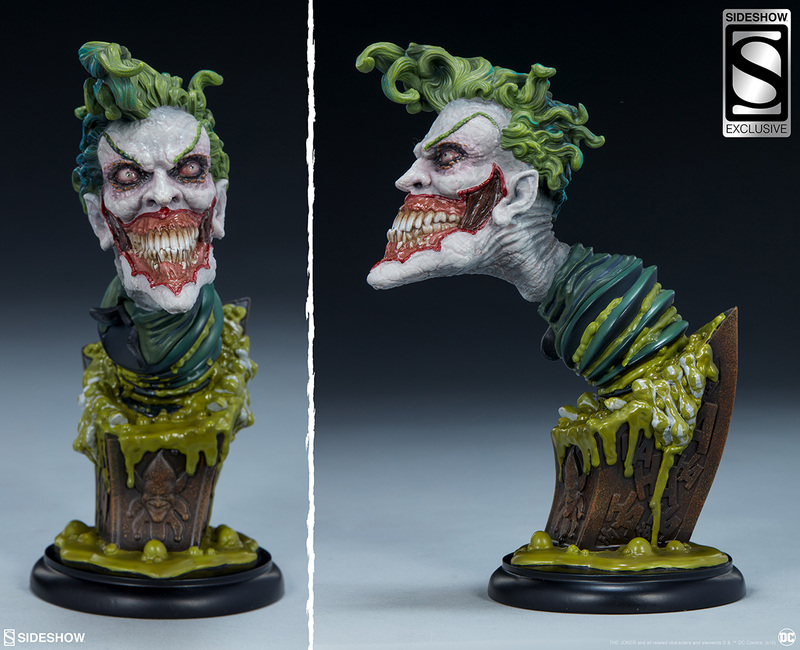 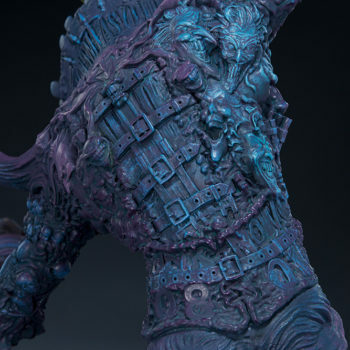 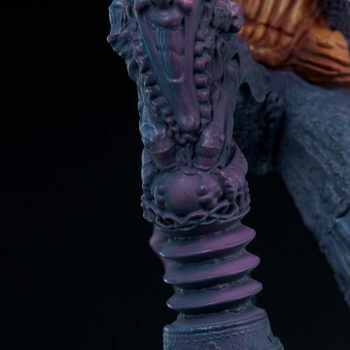 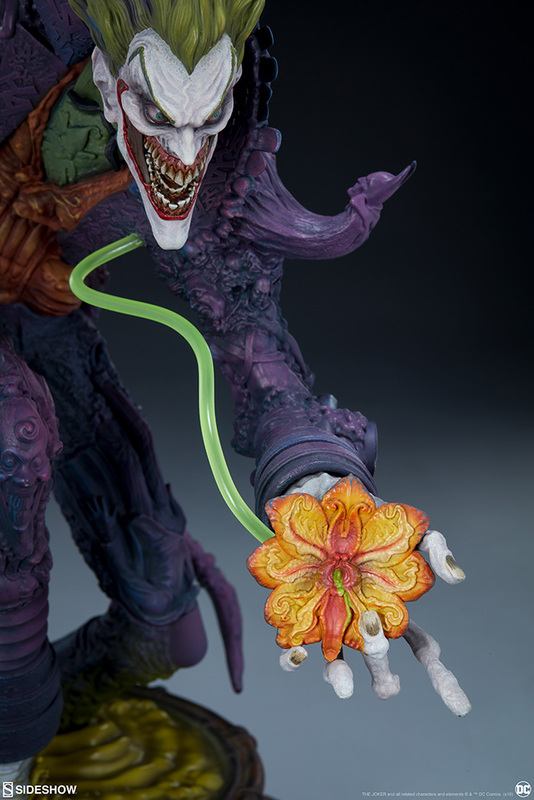 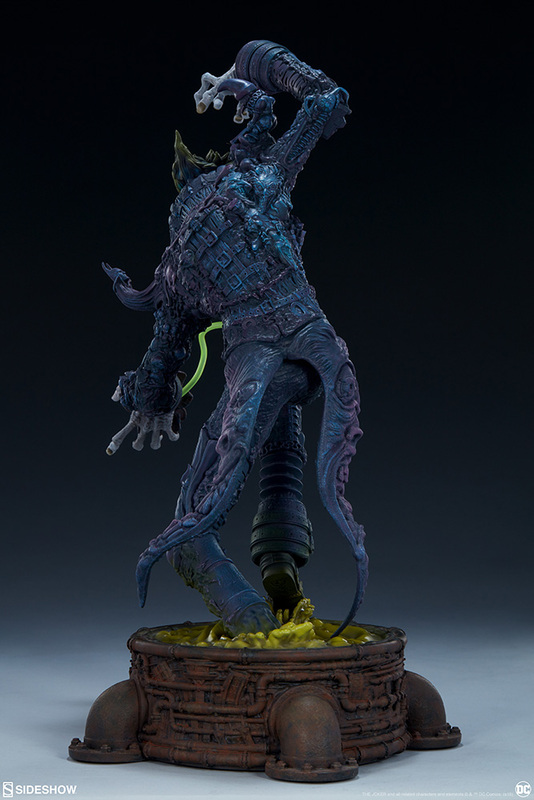 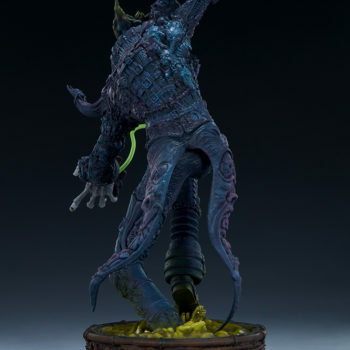 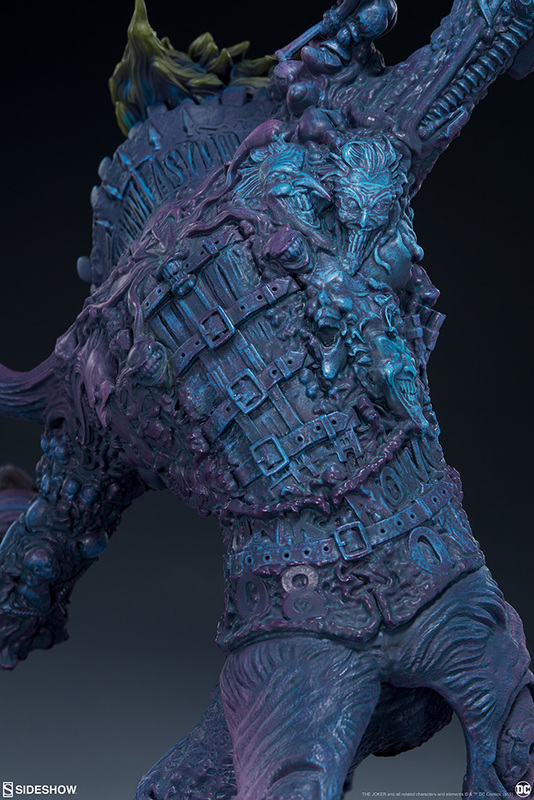 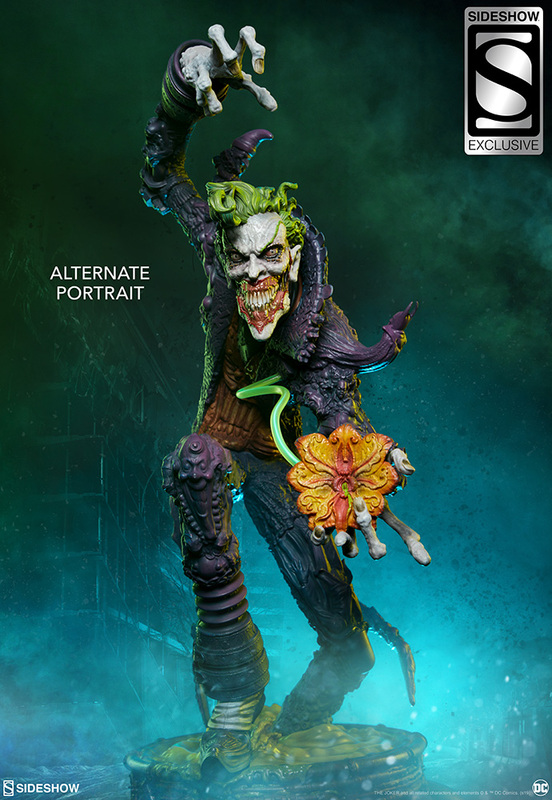 This intricate statue is bursting with brilliant details revealing just what makes The Joker who he is. 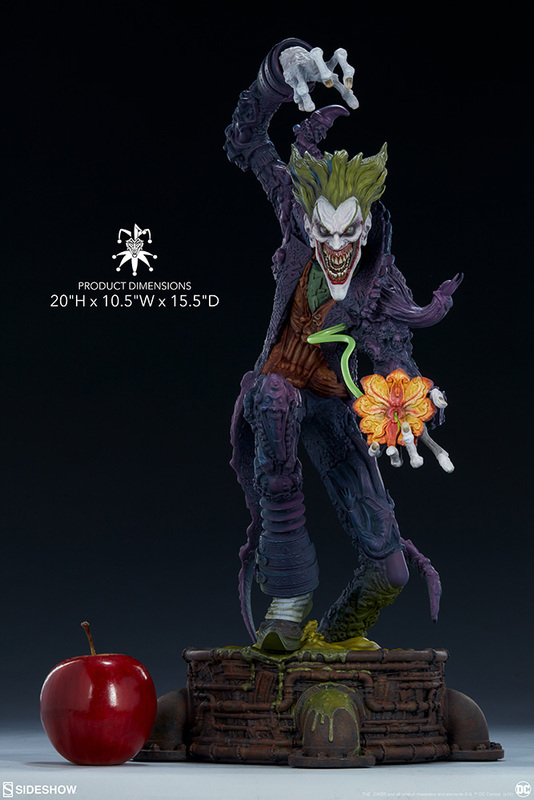 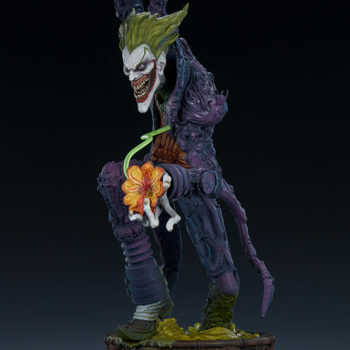 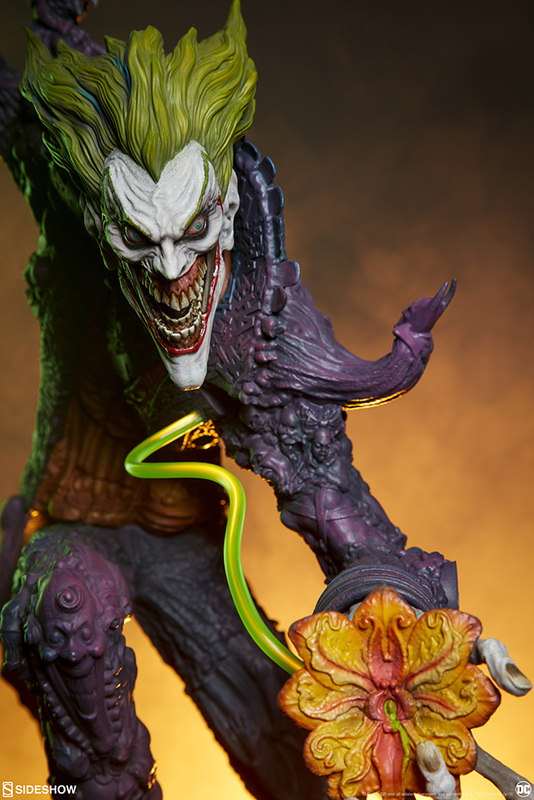 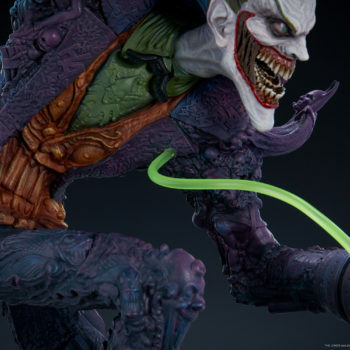 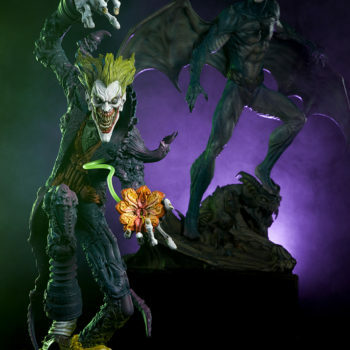 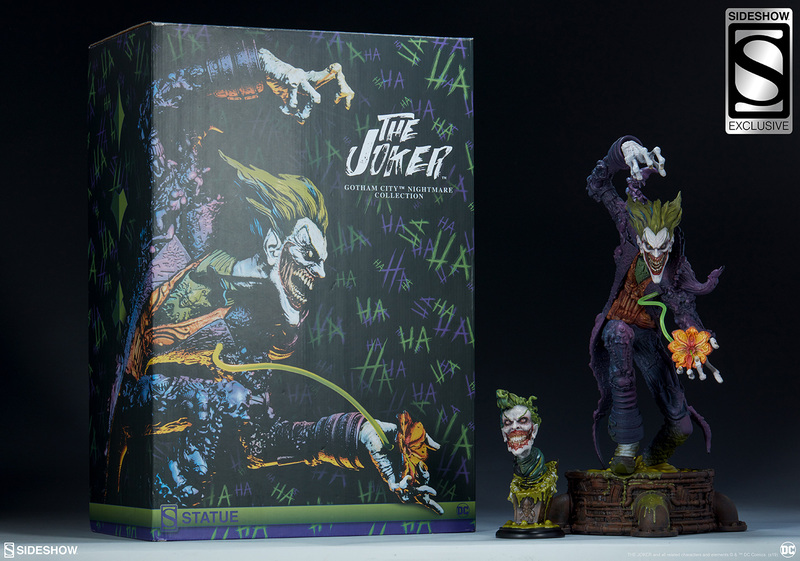 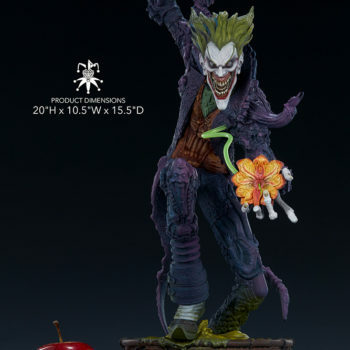 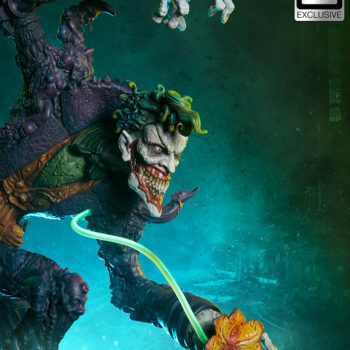 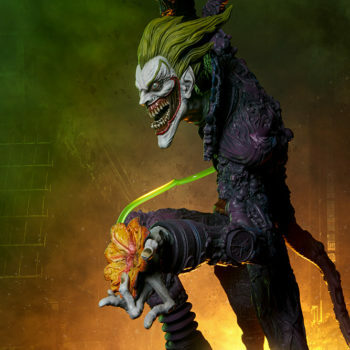 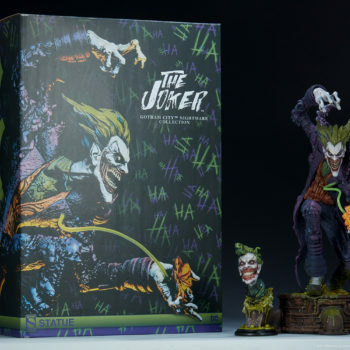 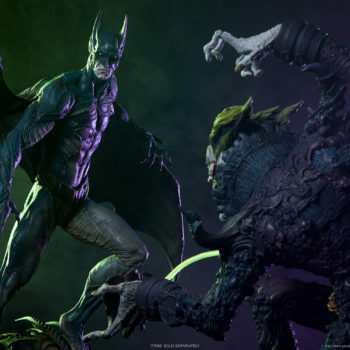 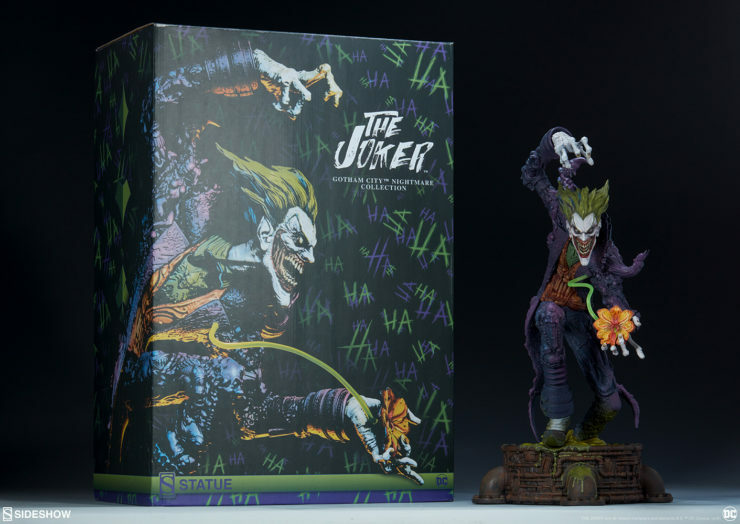 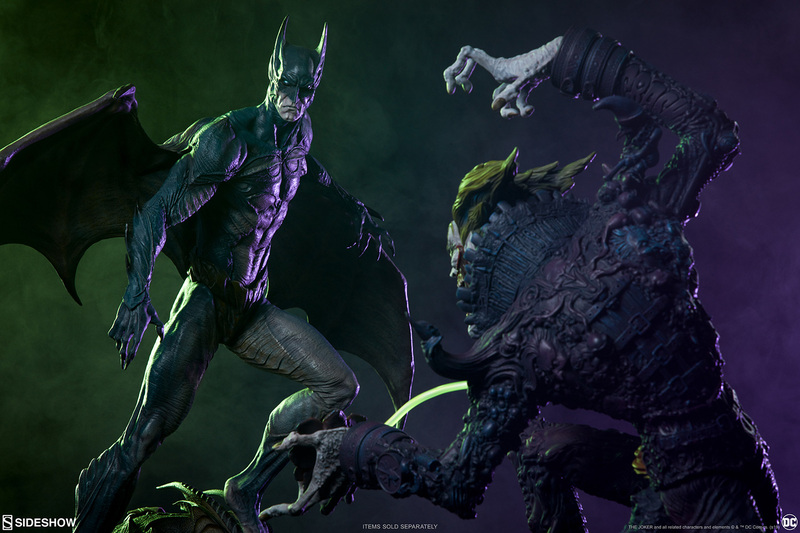 From Ace Chemicals to the famed Arkham Asylum as his backbone, The Joker Statue will keep you captivated by the horror as you search for references to the some of the villain’s most infamous moments. 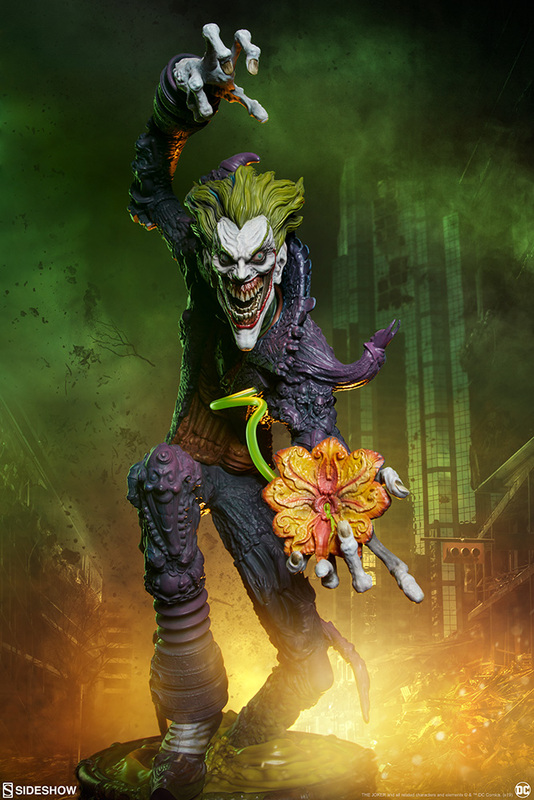 Get ready to welcome the latest Gotham City Nightmare to your collection! 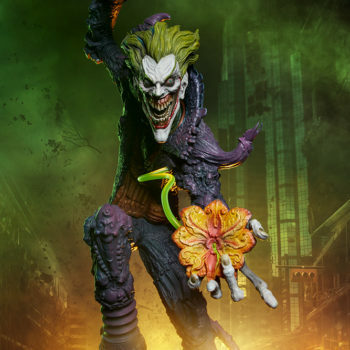 The Joker Gotham City Nightmare is currently available in stock, so you can add this creepy clown today! 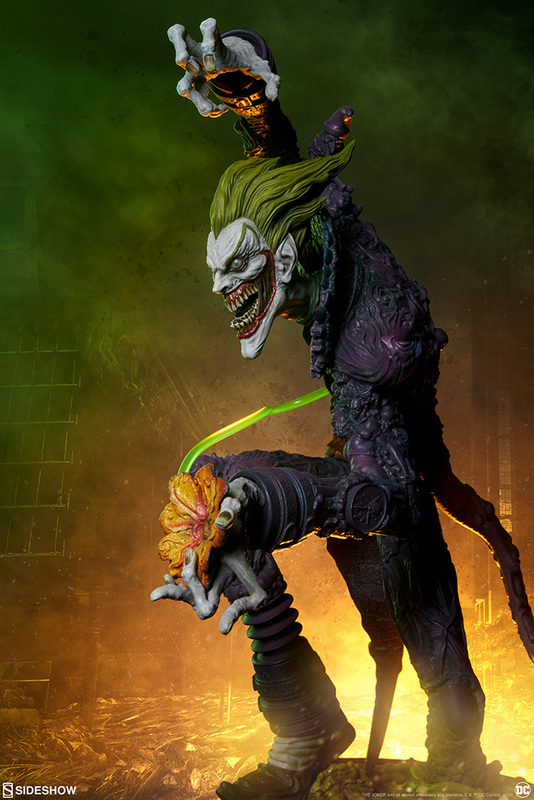 For even more Gotham-ized insanity, see Sideshow’s full offering of DC Comics collectibles. 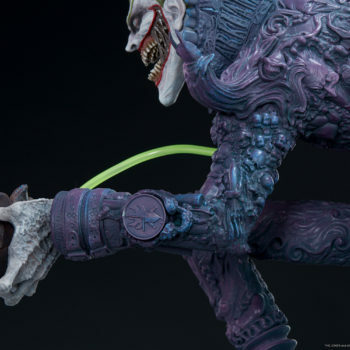 To see the statue in action, be sure to check out our Out of the Box instructions on how to assemble The Joker Statue.